Renowned international conservation organisation Biosphere Expeditions together with its partners Six Senses Resorts & Spas and LaMer will launch a new reef educational booklet for Maldivian children (view a copy) on 3 September in Male’ and hand 2000 copies over to the Ministry of Education. Biosphere Expeditions and Six Senses Resorts & Spas have also teamed up to create two scholarships for Maldivians to take part in Biosphere Expeditions’ coral reef & whale shark study being conducted in September 2011. The scholarship recipients will be introduced to the media during the 3 September Male’ press conference also. Reef educational booklet cover page. View the entire booklet. 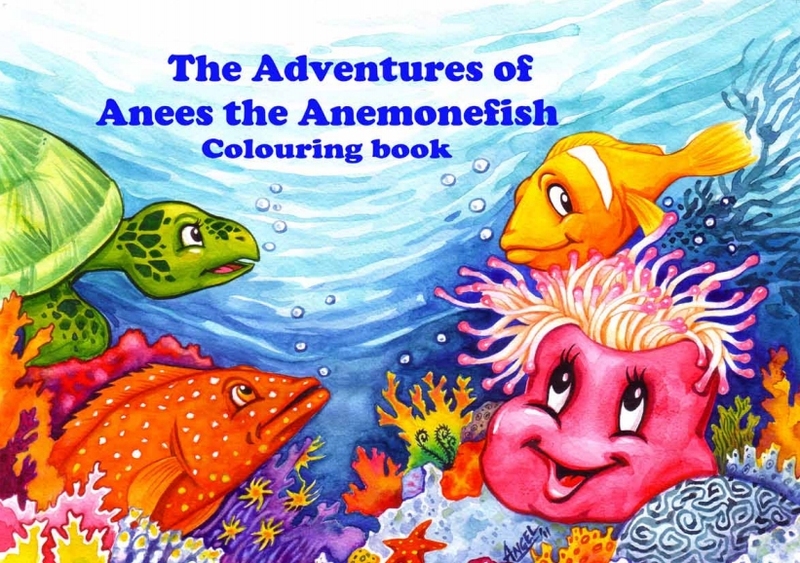 Kate Wilson, Six Senses marine biologist based at Soneva Fushi says “The educational story book has been designed to inspire the younger generation on the wealth of marine life of Maldivian reefs. The book explains how climate change and various other impacts are putting increasing pressure on these ecosystems –the aim is to inspire children to look after their reefs and understand a bit more about marine protected areas and how each and every one of us can reduce our impact. The scholarships will allow Maldivians to work alongside and learn from some top marine biologists, enabling them to get hands on experience of monitoring coral reef ecosystems in the Maldives. It is a fantastic opportunity for keen and enthusiastic divers that want to develop skills in marine surveying, enabling them to continue surveying long after the scholarship ends. Six Senses are thrilled to be working with Biosphere Expeditions who will be contributing vital data to the Maldives government on coral reef health”. High-resolution images, film clips and other media resources are at www.biosphere-expeditions.org/mediaarchive. View copy of the reef educational booklet. For further information on Biosphere Expeditions or this press release, please contact info@biosphere-expeditions.org. For further information on the Six Senses Soneva properties, please contact Sophy Williams on sophy@sixsenses.com. Biosphere Expeditions is a multi-award-winning not-for-profit wildlife conservation organisation offering hands-on volunteer expeditions as an adventure with a purpose for everyone. Biosphere Expeditions is for people from all walks of life who want to help support and conserve the biosphere that we all live in. Biosphere Expeditions gives people a way to harness their enthusiasm and put it to good effect by coming to work on conservation projects simply using the money and time that they would have spent going on an ordinary holiday. Six Senses Resorts & Spas is a management and development company established in 1995, which manages resorts under the brand names Soneva, Six Senses and Evason, plus Six Senses Spas. Soneva Fushi, Soneva Gili and Six Senses Laamu are the Six Senses Maldivian properties.